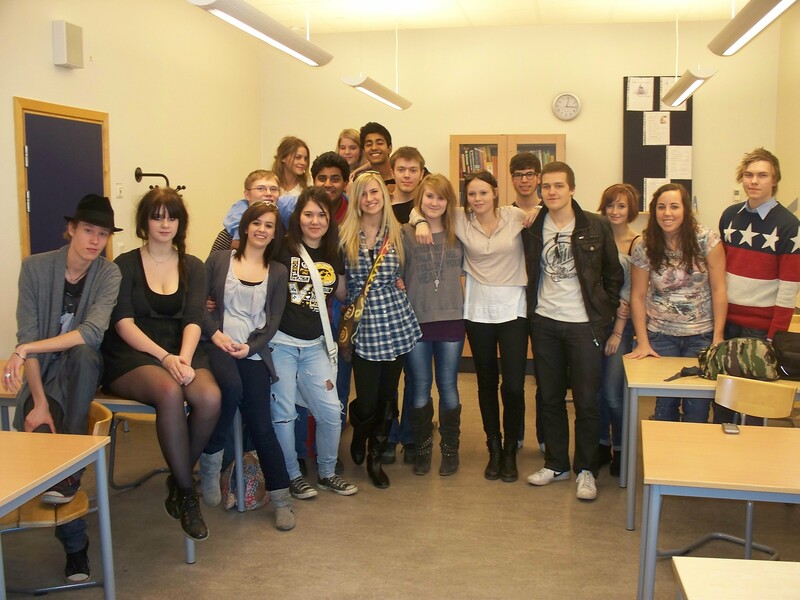 At the beginning of the school year I had no idea my year of focusing to connect students globally would include a trip to Sweden. Now back just 2 days, I have had a brief time to reflect on the trip, connection, and collaboration that began back in October with @john_noonan and the students in his Philosophy class at the International School of Helsingborg. 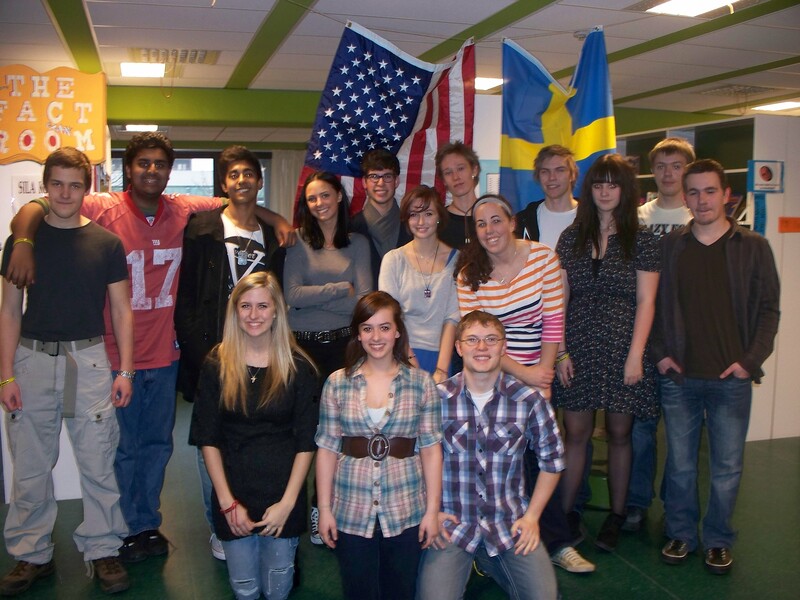 Last week, Cari Teske, myself, and 5 senior students flew from Chicago to Sweden. We had an educational and fun trip which was led by the careful planning of Mr. Noonan. Students had a myriad of experiences from museums, castles (including the one that inspired Hamlet), a Picasso exhibit, European Soccer Match, spent time at the school, and lived with host families. Students tasted local cuisine, navigated through the city with public transportation, and appreciated the cultural diversity that surrounded them! Time is fast approaching for our trip to Sweden to meet the philosophy class that we connected with last semester using various social media forums. 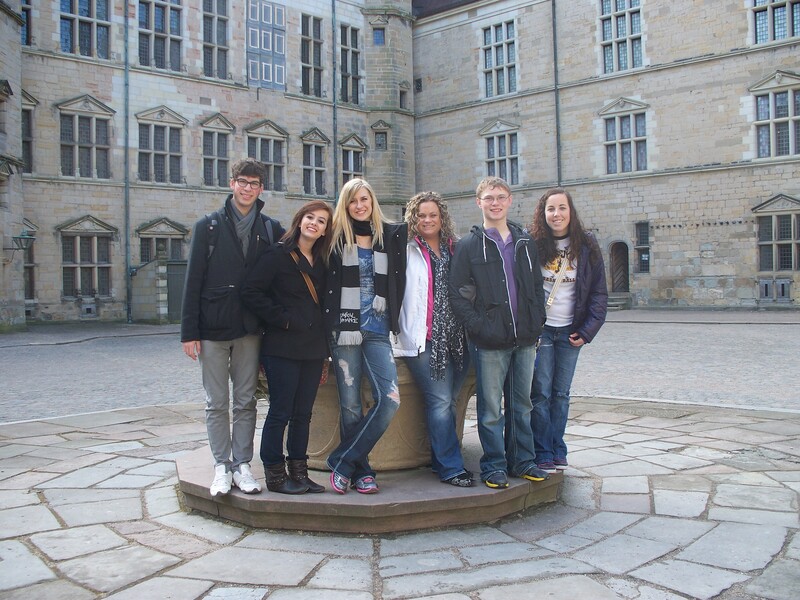 In March, 5 AP Literature students, myself, and Cari Teske (BCLUW librarian) will depart from Chicago and spend 9 days in Helsingborg, Sweden. This opportunity stemmed from a twitter connection and a desire to connect students globally. Mr. Noonan, a philosophy teacher from the International School in Helsingborg, and myself designed a unit focusing on the understanding of Existentialism and its application to “The Stranger” written by Albert Camus. Although there are many things that will be modified for future use, students gained more than the initial education goals we set at the beginning. 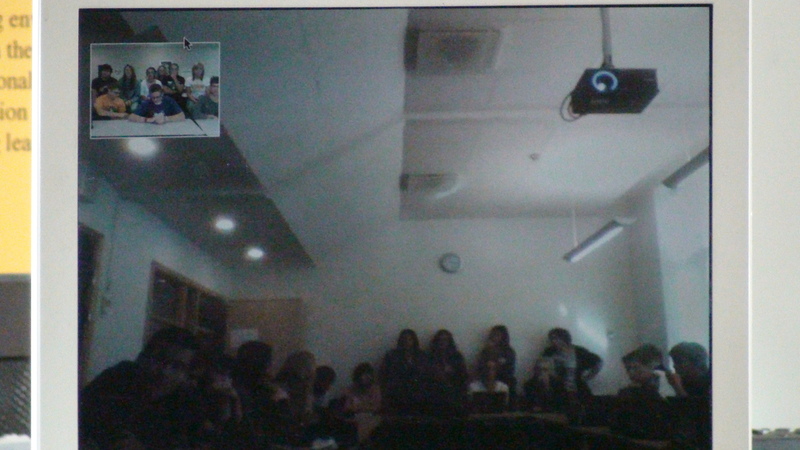 The students not only gained an understanding of a difficult philosophy, but also learned to collaborate with others thousands of miles away with differing opinions using technology. The social aspects were the most surprising gains that we as teachers didn’t expect. Students found they had more similarities than differences and added each other on facebook, twitter, etc; becoming fast friends while learning how to use social media for personal and educational uses. When opportunity presented itself for a chance to meet our “new classmates” we quickly sought parental approval, board approval, and community support. This once in a lifetime trip will bring the connection full circle. 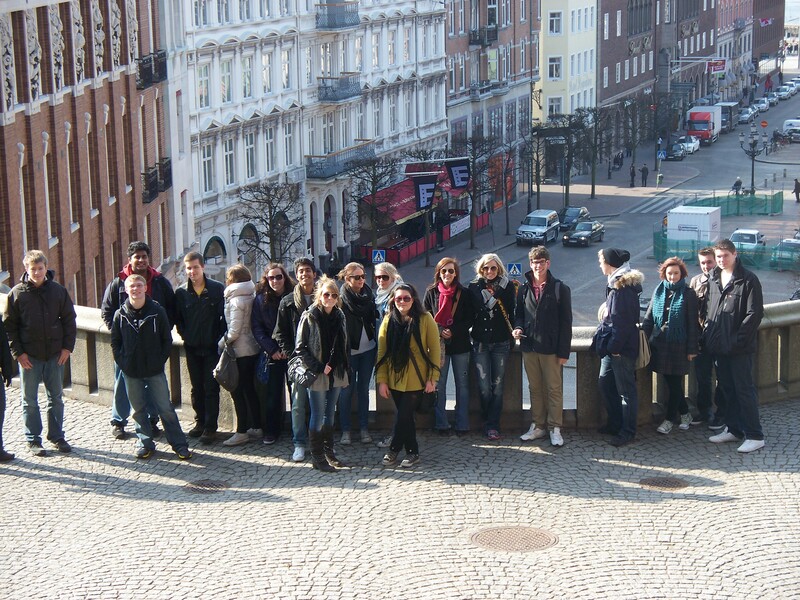 We plan to spend time at the school, participate in a Model UN, tour Hamlet’s Castle (a play we also read), visit IKEA headquarters, a trip to Copenhagen, along with experiencing the culture and people of Sweden. Never in my wildest dreams did I think that I would be planning a trip to Sweden this year! Connecting Cultures, Continents, and Classrooms – a testament to the power of 1:1 laptops in the hands of students and teachers! What began as an off -the- cuff request on twitter has snowballed into a collaborative project connecting BCLUW AP Literature students with students from The International School of Helsingborg in Sweden. Each year I teach Albert Camus’s “The Stranger” and struggle through the lecture, questions, and discussions over Existentialism. At the beginning of the school year I met John Noonan a philosophy teacher in Sweden. I approached him for help and a possible guest lecture spot, but after many discussions we decided to connect our students for a collaborative lesson. Starting in early October, students have connected through twitter(using the hashtag #iowaish), blogs, and Skype. October 12, will be the first face to face meeting between the two schools. Throughout the next couple of weeks, students will identify characteristics of Existentialism, participate in a Skype video lecture on Existentialism given by Mr. Noonan, and apply their understanding of the philosophy to discussions, readings, and blogs. In November, students will be placed in small groups with members from both the BCLUW AP Literature class and ISH Philosophy class. Collaboratively, they will defend an argument based off of a question posed by myself and Mr. Noonan. A debate will conclude the project. The 2009 -2010 school year was the first year of the BCLUW 1:1 laptop initiative. The ISH is also a 1:1 laptop school, making the collaboration and connection accessible outside of the walls of the school and hours of the typical school day. Having an opportunity to collaborate with students other than their normal peers, plus with a diverse group such as the one found in Mr. Noonan’s International School, cultivates an understanding of different countries, cultures and opinions. The collaboration increases the writing, speaking and debate skills of the students by constructing an audience other than the typical teacher they interact with daily. The project has already exceeded expectations and the students are looking forward to future connections and the final project. I will update this blog periodically with our progress! The views expressed on this blog are in no way representative of the views of my employer. 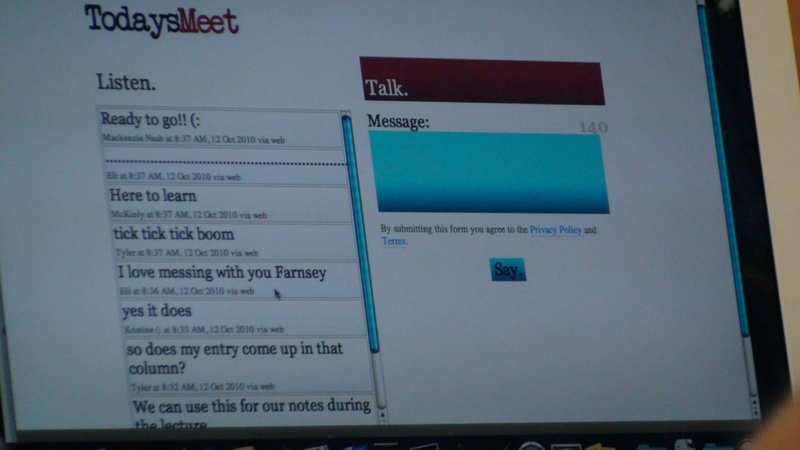 They are my own reflections about blending of technology in the English classroom.